Woo! Trying to get on board for the last stretch of patterns. 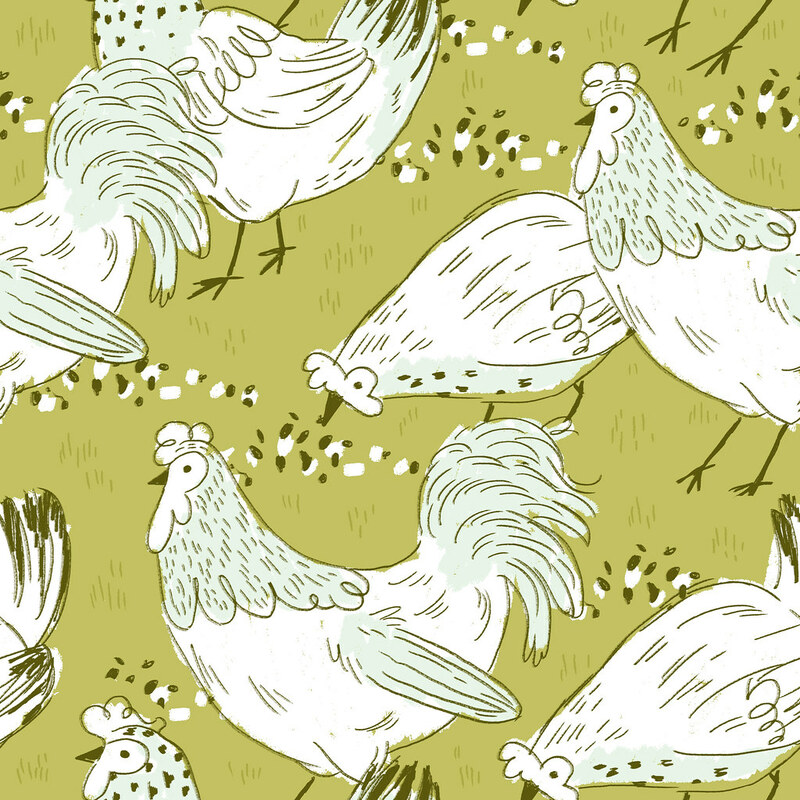 Here's my farm pattern - inspired by the farm I used to visit as a kid. It was actually a Christmas tree farm in West Virginia, but there was totally a chicken coop, and goats. I always thought those chickens were kind of scary, but these guys are a bit more peaceful enjoying an afternoon snack.